IFA 2011 At IFA today, Samsung upped the ante on the EVIL (electronic viewfinder, interchangeable lenses) marketplace by introducing the NX200, sporting a 20.3Mp APS-C CMOS sensor. Besides being a stills shooter capable with RAW support, the NX200 captures video at full HD 1080p at 30fps with stereo audio. 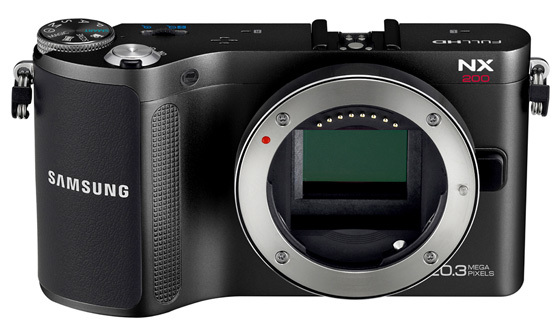 Its sensitivity covers and ISO range of 100 to 12800 and Samsung claims fast start-up time and autofocusing with 7fps continuous shooting and times of 400ms for shot to shot snapping. Samsung abandoned Pentax K-mount lenses a couple of years ago introducing its own NX system lenses that feature i-Function, that allows parameter control from the lens so you don’t have to tinker with dials when framing a shot. 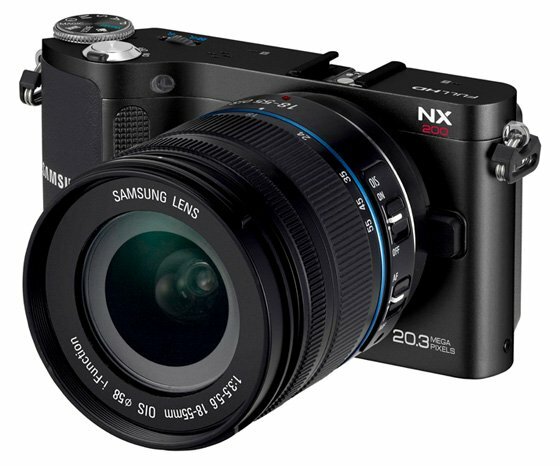 Along with the NX200, new lenses have been announced – 18-200mm, 16mm, 60mm and 85mm – that support i-Function 2. On the NX200, this allows users to configure Smart Filters and the intelli-Zoom function from the lens whilst in Lens Priority Mode. Other parameter tweaks that can be toggled through from the lens include shutter speed, aperture, EV, WB, and ISO.